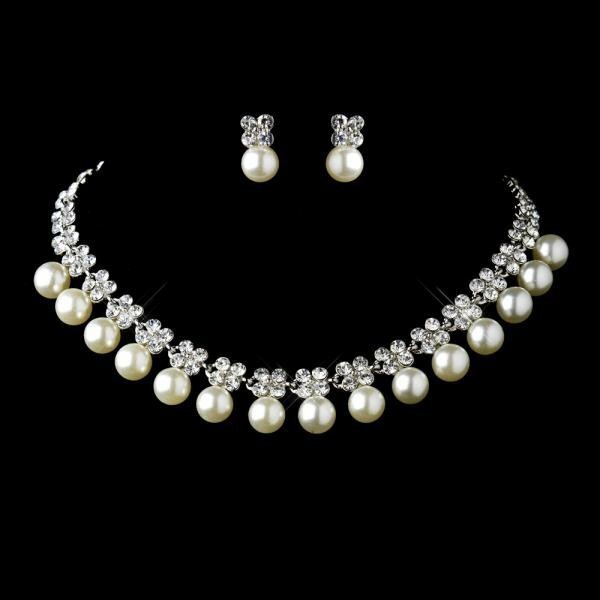 A lovely necklace feature a row of dazzling rhinestones & ivory pearl drops, perfect accessory for the bride or bridesmaids. Size: Necklace - 36 cm with 5 cm extender & 9mm pearls. Earrings - 1.9 cm with 9mm pearls.